Read all about Barbie, her sisters, and their entertaining animal pals as they explore their world and develop new friendships in this new oversized panorama sticker storybook. 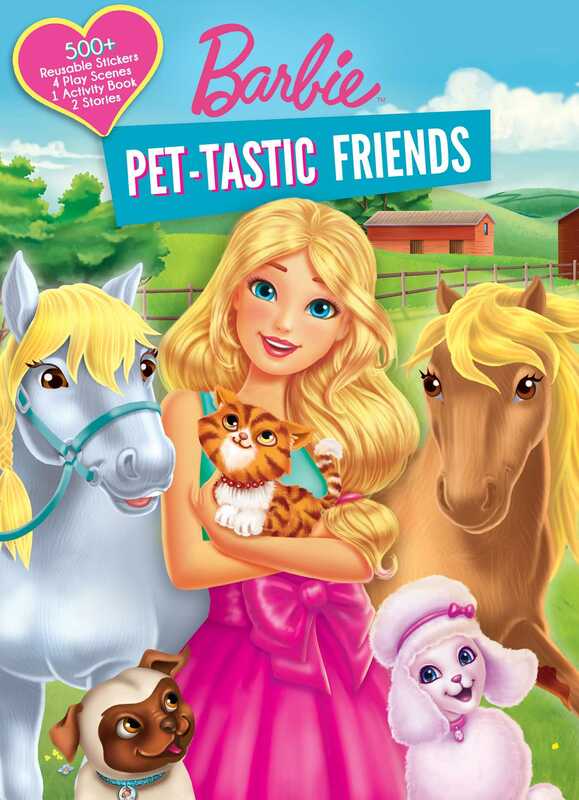 Join Barbie and her sisters in a pet-tastic adventure and meet some of their animal friends. Enjoy two stories in one as Barbie takes care of ponies on a horse ranch and cuddles with kittens as they purr. With over 500 reusable stickers, 4 panorama play scenes, and activities like word searches, mazes, and more, this sticker book is nonstop fun!